The Week of Prayer for Christian Unity is upon us again. 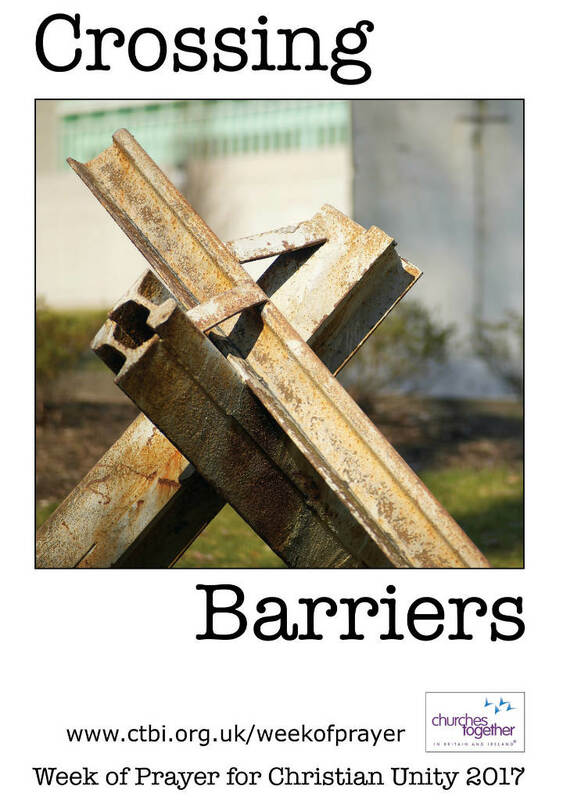 Prepared by the Council of Churches in Germany, this years’ theme is Crossing Barriers and is based on 2 Corinthians 5:14-20. As Churches Together in Leek & District, all are welcome to come share midday prayer (12:00 midday – approx 12:30) at Trinity Church, Derby Street from Monday 16th to Saturday 21st January 2017. On Sunday 22nd January, there will be a United Service held at All Saints Church, Compton at 4pm. Please do come along and join us in unity – even if you can only make one service! For more details please visit the Churches Together Week of Prayer for Christian Unity 2017 page. You can also download your own personal copy of all the accompanying resources for this years’ event by visiting the Churches Together download page.